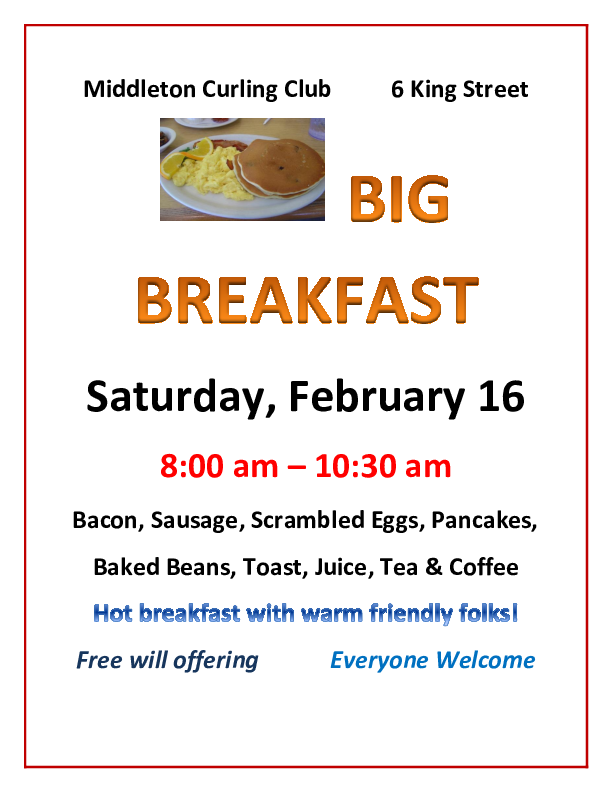 Enjoy bacon, sausage, scrambled eggs, pancakes, baked beans, toast, juice, tea and coffee in a friendly atmosphere! 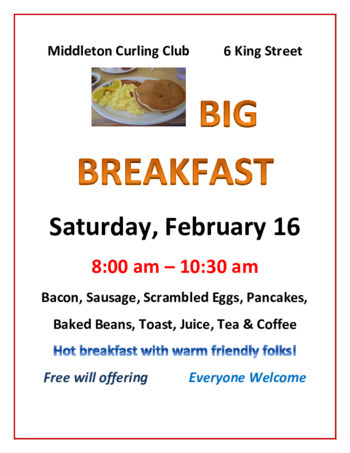 Proceeds go to the operation of the curling club. Everyone welcome. Free will offering.